At this time of the year we usually enjoy long pleasant evenings on the patio, sipping a glass of wine as we watch the sun set. This year no-one in Colorado can relax. 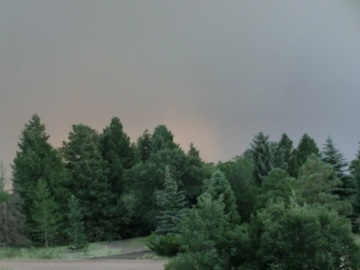 We had a smoky dusk at 6:30 last night as the Walden Canyon wildfire exploded and doubled in size. 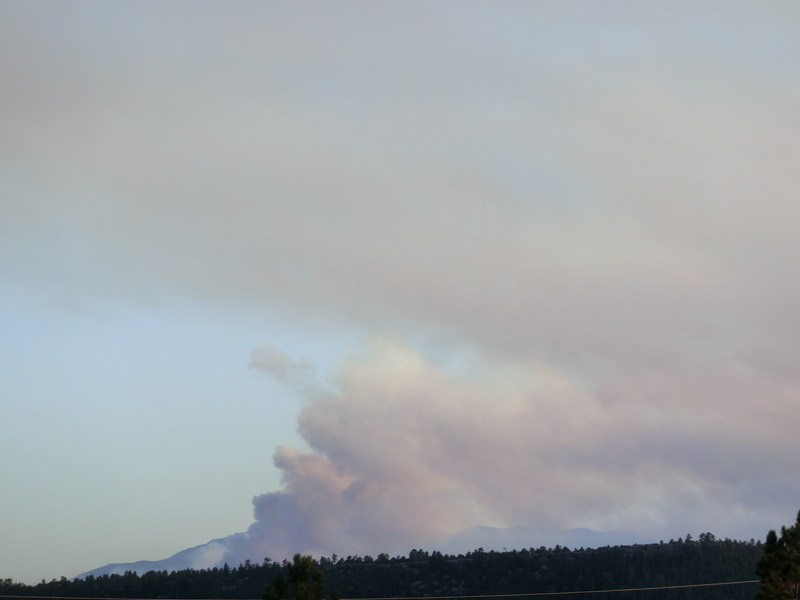 I live around sixty miles away from this fire. Imagine how terrifying it is up close. 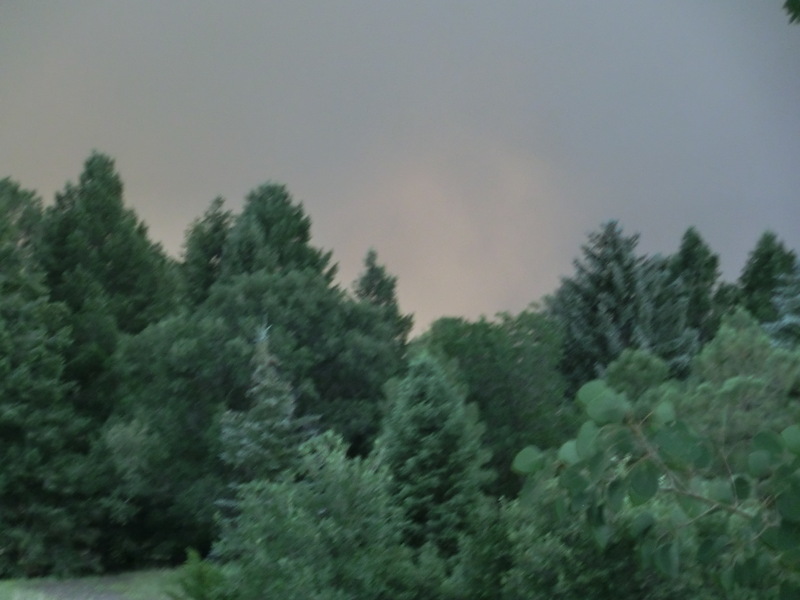 To the East the sky was Dark and ominous. Hard to believe it was an early evening in June. 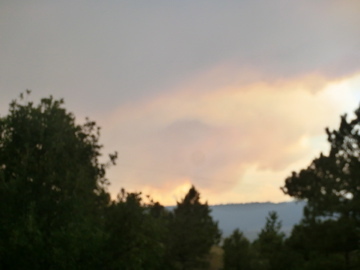 The background is a blanket of smoke. It looks like storm clouds, I wish it was. 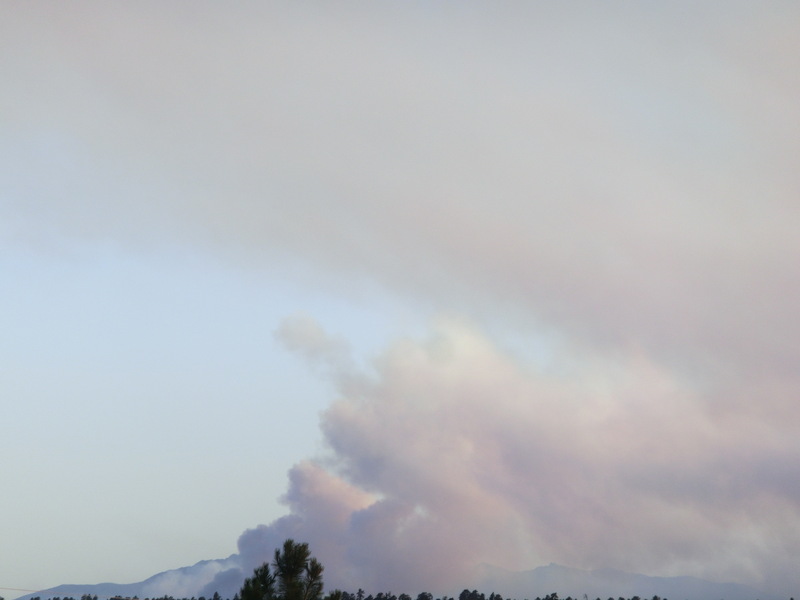 To our south-west, sixty miles away, the fire rages. This is not the sun setting behind the mountains. 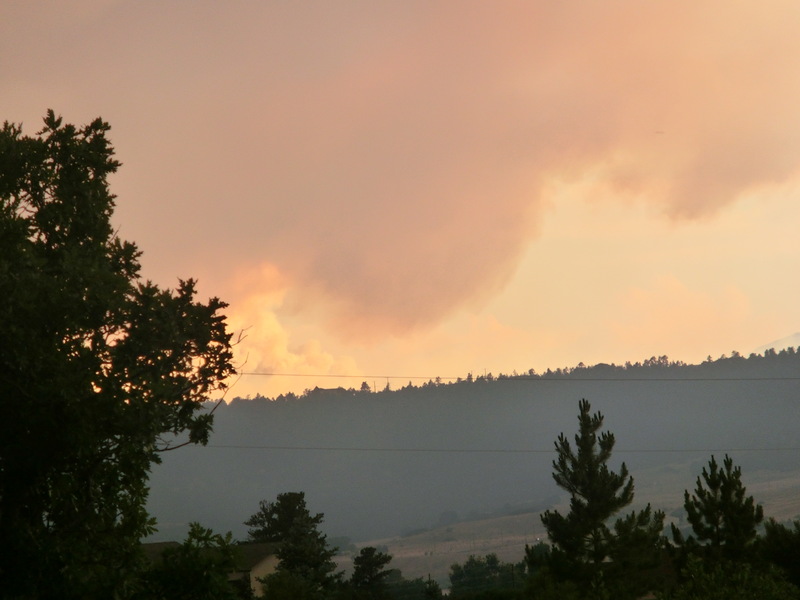 This is a raging, uncontrollable fire gobbling up our beautiful countryside, engulfing homes, obliterating memories. This devastation is everyone’s worst nightmare, destroying dreams that have been years in the making. Think of the wildlife that must be fleeing terrified from the flames. Put your hands together and pray that every living creature finds safety. Homes can be rebuilt, lives are lost forever. 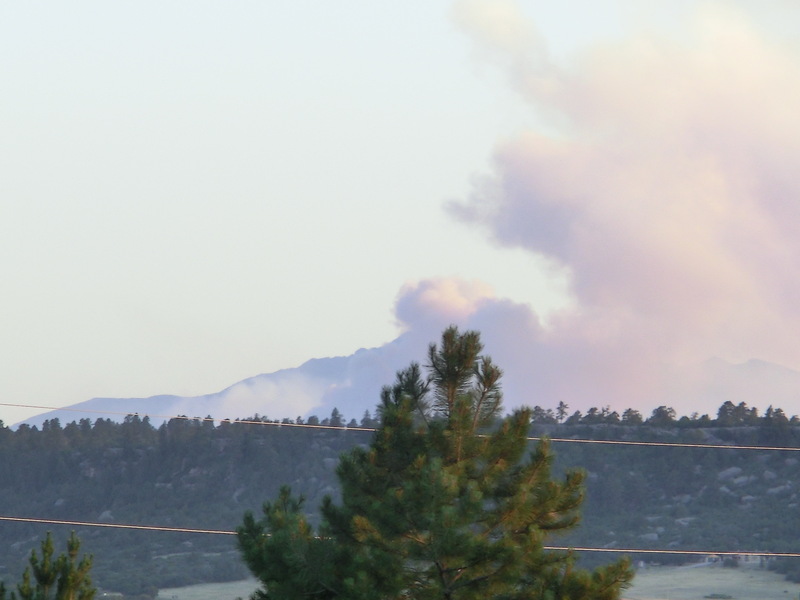 From our house in Franktown Pikes Peak resembles a volcano! Let the Fire Fighters be safe! 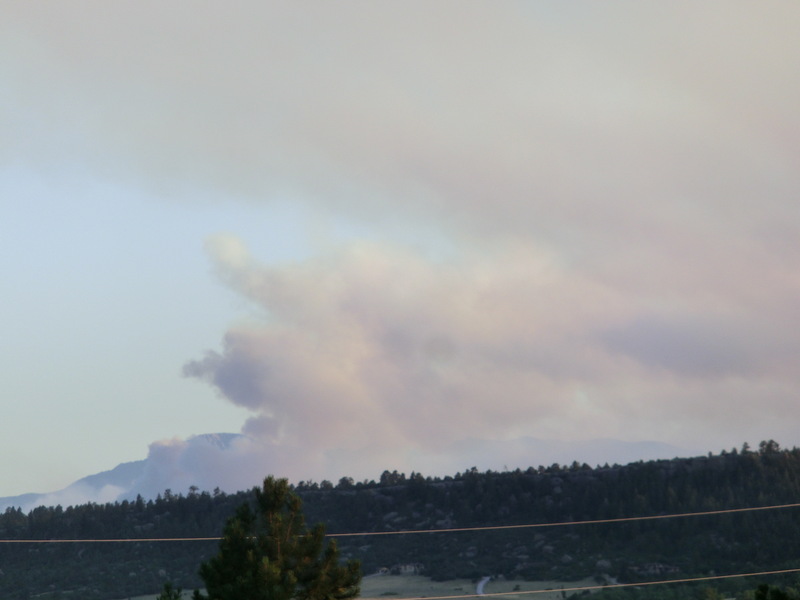 Colorado is so dry right now that the slightest spark can burn down acres. So many people have lost their homes. Some have lost their lives. 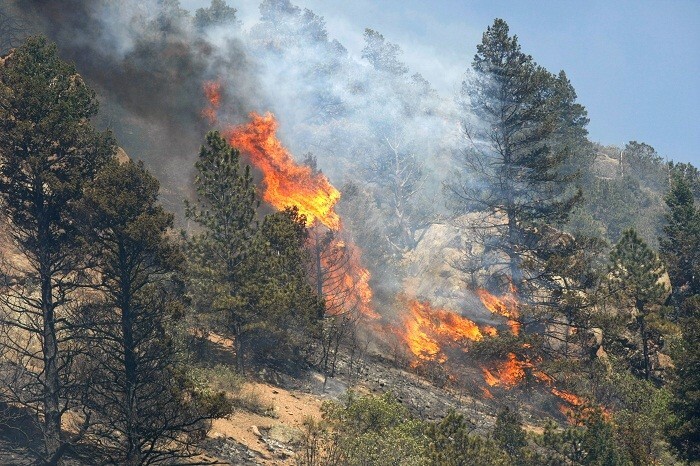 It is only June and there are over 12 wildfires burning in Colorado. We look on in horror, but this could be us. It could be our homes burning. Please celebrate carefully and thoughtfully this 4th of July.